I'm writing an Android app that's supposed to have a "Slideshow" feature on it. I've found this nice library, based on Picasso, that does exactly what I wanted, and it worked just fine most of the times. Problem is, sometimes my images are not loaded into the slide ImageView... It only shows a "black canvas" as you can see on the screenshot below. 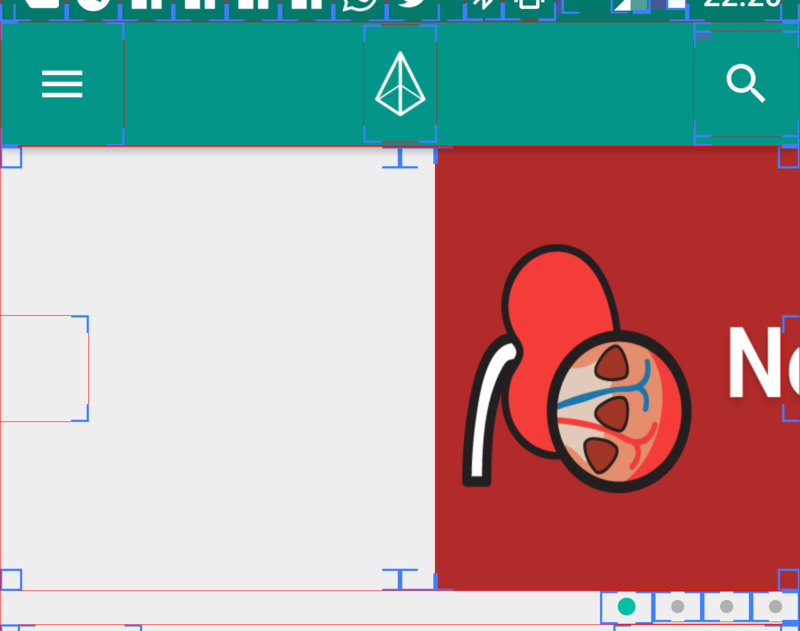 I am loading the image from a local resource from my drawables. Sometimes it happens on Portrait mode, sometimes on Landscape mode. It doesn't matter which image I use, sometimes that "blackness" happens. I'm using Android 5.0.2 and 4.4.2 - It doesn't seem to happen on 4.4.2. Only on 5.0.2. It happened on a Moto X 2014 with android 5.1. The images I'm trying to load have 45KB on disk with a resolution of 900x445. And it keep like that on scroll. And sometimes, it gets white instead of black (Or white, then black). 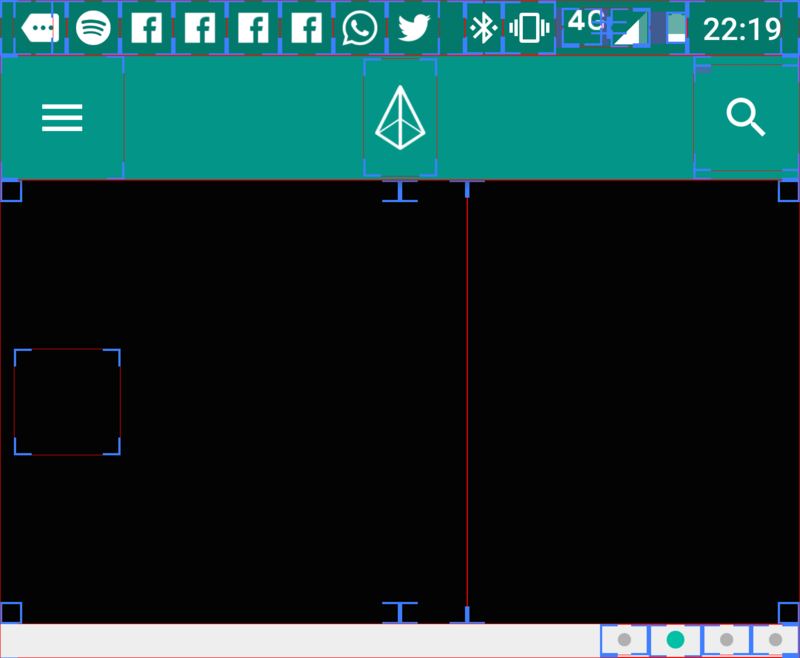 Something else I tried: My drawables were located on the res/drawable folder, when I've changed the files from that folder to the res/drawable-xxxhdpi the slider worked on the 5.0.2 device. wtf??? I've tried different images, to load multiple images on the slide, and even this pull request that changes Picasso to Glide on the lib. Nothing seems to work and the error seems random. Once I've tried to use URLs from the web instead of the actual drawables on the local storage, it worked. With the exact same images. I'm following the tutorial from the libs wiki page. And no errors are being thrown on the LogCat, which is making this a lot harder to solve. Create A Resource Folder Named drawable-nodpi in that folder put your images instead of different folders or drawable folder. Have you tried using a ViewPager with an ImageView and passing an array of image URIs to the adapter? I think you would be able to avoid/debug much better if you implement it yourself. This library works fine for me, the very first time I used it. It's a really nice library. 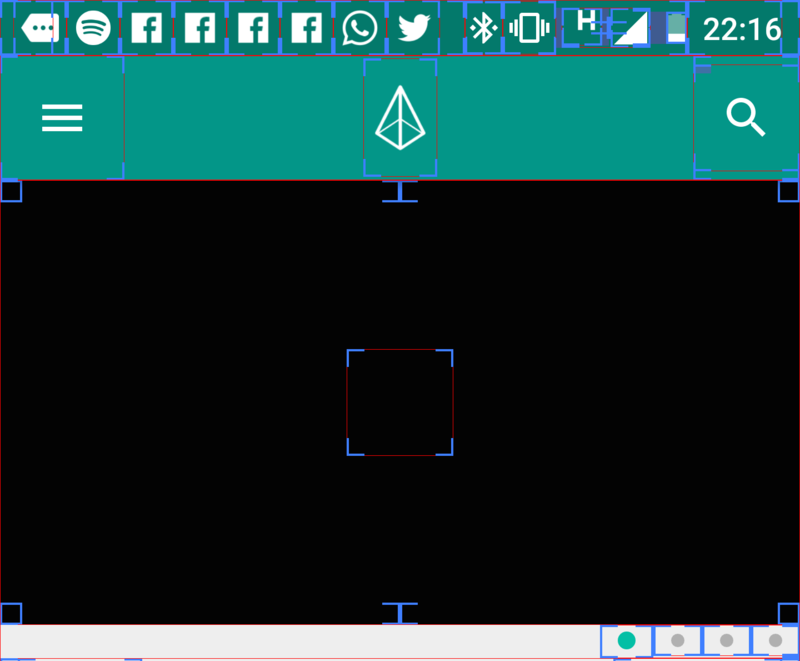 SliderLayout is not being referenced by anything. That's where the magic happens. Make a xml layout and refer to it by SliderLayout. After that don't forget to call startAutoScroll() and in onPause() stopAutoScroll(). The link above is basically all you need. The problem could also be that it's inside a scrollView. The scroll callbacks may be misbehaving. Make a simple layout, start with a simple slider and work your way up with customizations. Not the answer you're looking for? Browse other questions tagged android imageview android-drawable picasso android-glide or ask your own question. 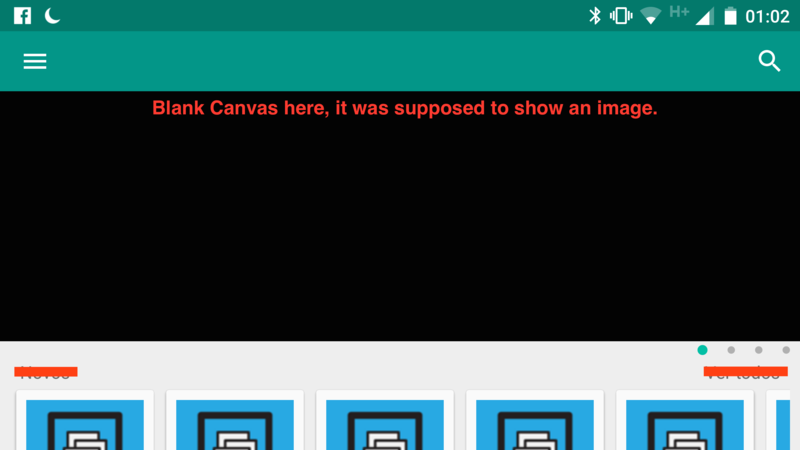 How to load an ImageView by URL in Android? Change ImageView size in a recyclerview after Picasso.load()?